Apply on the cleansed face morning and evening. Paraben free. Cruelty free: mucin contained in Snail Repair Therapy cosmetics comes from happy snails, which did not suffer during production proces. 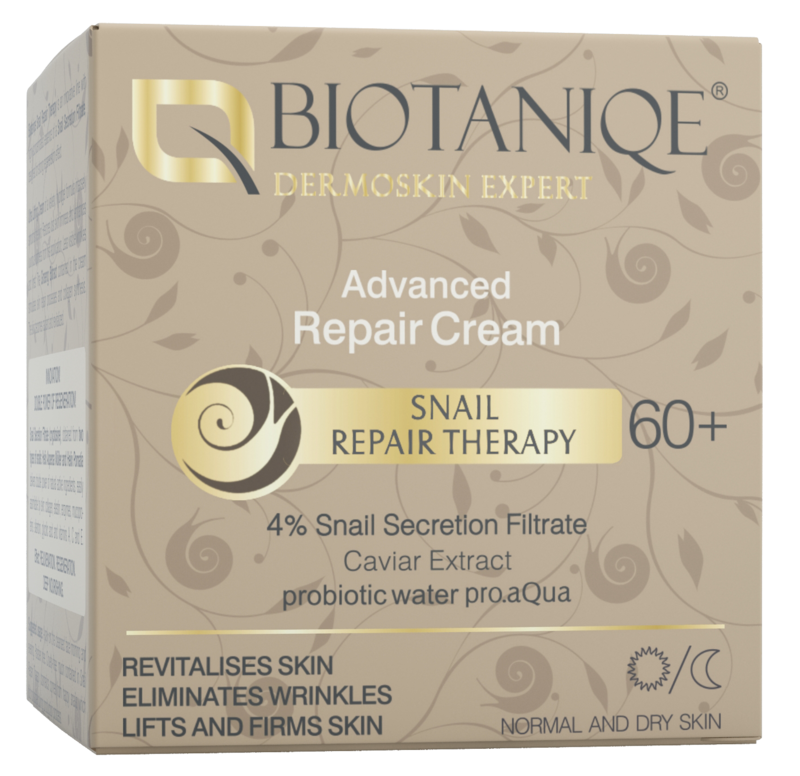 Biotaniqe Snail Repair Therapy is an innovative line with highly-concentrated essence of Snail Secretion Filtrate, designed for a strong regeneration effect. Advanced Repair Cream of a velvet-like, hydrogel formula stimulates regeneration of support fibres, resulting in original firmness and suppleness of the skin. Improves face contour, softens facial features. Visibly reduces existing wrinkles. Caviar Extract, also called a “natural youth cocktail”, contained in the cream, intensively regenerates and rejuvenates skin cells.